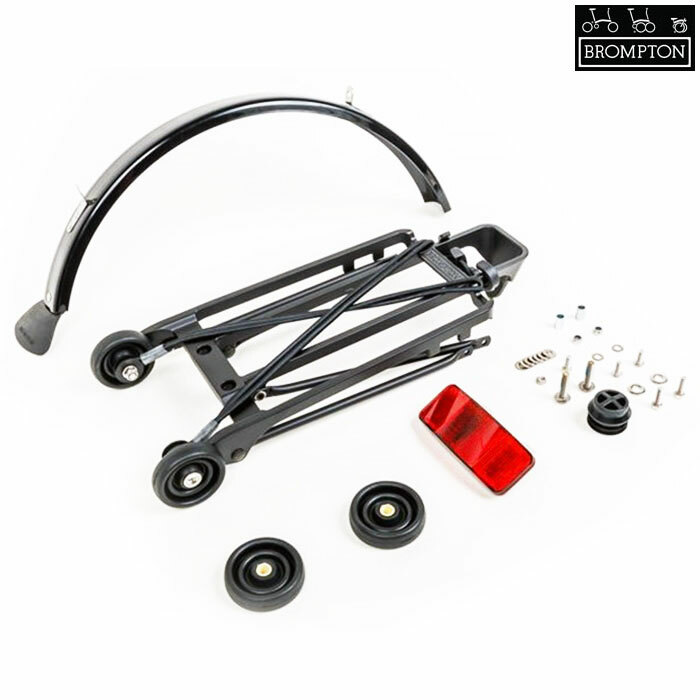 This is the set you will need to fit a rack to Brompton that has never had a rack fitted or where the rack and fittings have become really badly damaged. This includes a replacement rear mudguard as rack Bromptons have a different mudguard blade with most of its support coming from the carrier rather than the stays on non rack Bromptons. Supplied with all fixings, rollers, shock cords and a rear reflector. Please note: Drillings for rear light/reflector not always perfectly central. This does not affect the ability to fit the light or reflector in any way. Eazy wheel fittings now designed to take M6 bolts.